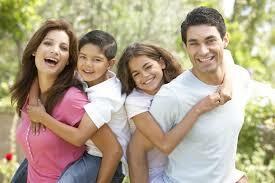 A medical aid plan is a plan for your familys' future well-being. Plan for the future by choosing a good medical aid plan. There are close to 100 medical aid schemes in South Africa. Each one offering a range of healthcare options from simple hospital plans to comprehensive medical aid. This means there is something to suit you and your family. The question is which medical aid plan suits you? Medical-plan-advice.co.za can’t make a choice for you. However, we have all the info on this site to help you make the right choice. We don’t offer medical aid or hospital plans, but we can help you with comparative online quotes to make it easier to find what you need. We know that people’s healthcare needs vary and that their medical needs change over time, depending on health and circumstance. Affordability also plays a very important role. More than a third of the medical aid schemes that offer plans are “open” plans that anyone can join. The rest are either for people in certain industries, people with qualifications, or those who belong to a particular association. The articles and info we have compiled will help you work out what the different schemes offer. Once you have an idea of how medical aid firms work, consult a reputable medical aid broker who will assist with your final decision. Medical aid plan brokers not only understand the industry, they have an obligation to keep up-to-date with changes in the various medical and hospital plans. The fact is that even the most established plans change from time to time, and this can affect the pros and cons as they apply to you. If you have a medical or hospital plan that you are not entirely happy with, or don’t have any cover at all, a good broker will be able to advise you. Just remember that changing a medical aid scheme is not easy, so when you make a decision, treat it as a long-term one. Medical care costs a fortune, especially medical emergencies, serious injury, disability, or chronic illness. Having access to good medical care can also be a matter of life and death for your family. It’s not everyday coughs, colds and minor scrapes you need to worry about. The purpose of medical aid is to offer peace of mind that you will have access to the best care and treatment in the event of serious medical and healthcare issues. There is a lot of information on this site, and we add to it all the time. So take advantage of the advice we offer and join the best medical scheme you can afford. The plan you choose should meet the needs of every family member you include on the plan. Get a quote now! Complete the online form. Click here and submit. You will be contacted by a medical aid expert who can tell you about medical aid membership and hospital plans. 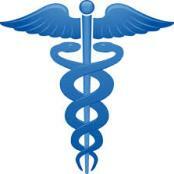 ← Find the best Medical Aid for the best medical care.